STRIKER Announce Alberta CD Release Shows For Fifth Self-Titled Album Out Now! STRIKER will be returning to their shredding grounds of Alberta in April for their first Canadian shows since unleashing their fifth studio album last month on February 24th. The band has been on tour across the USA plus Europe with Sonata Arctica in support of the album for last three months. Their shows, April 13th in Calgary at Dicken’s Pub, hometown return on April 14th in Edmonton at Starlite Room and April 15th in Red Deer at The Vat will be CD release events for their Albertan fans that have been loyal over the years supporting STRIKER‘s career in the province and beyond. 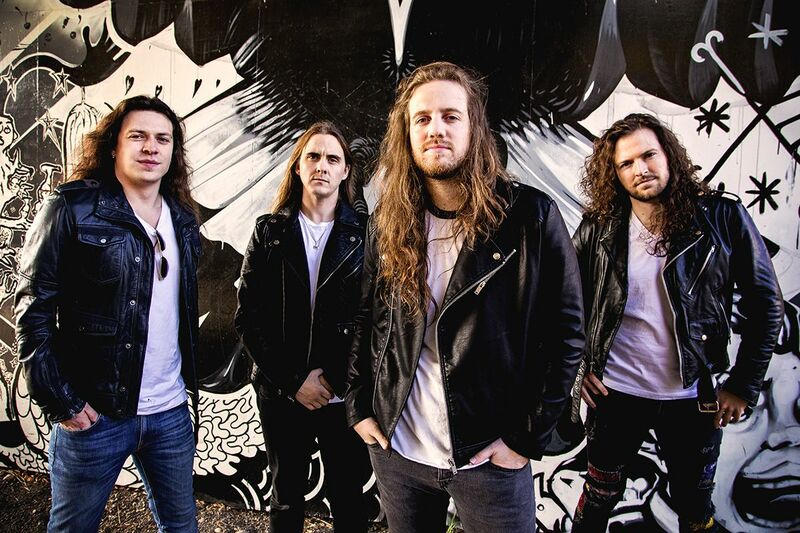 STRIKER‘s self-titled album released via their indie label Record Breaking Records features 9 shredding tracks that are all killer and no filler to continue the band’s classic mix of heavy metal. “This is 35 minutes of your life you’ll be glad you can’t get back. A potent mix of shred that will remind you why you fell in love with metal in the first place.” comments the band. Tickets: $10.00 advance tickets available online atwww.ConcertWorks.ca& at Sloth Records. $20.00 advance ticket with download of the new self titled album! Tickets: $15.00 GA advance tickets available online atwww.ConcertWorks.ca& at Blackbyrd Myoozik. Tickets: $10 Adv. – Tickets from myshowpass.com, The Soundhouse, The Vat Pub, and local bands.